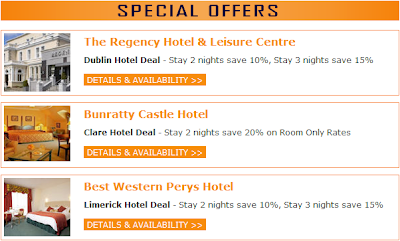 The Regency Hotel and Leisure Centre is located on the North Side of Dublin City, approx. 6km from the Airport and approx. 3km from Dublin City Centre. The hotel encompasses 240 bedrooms in total. This is a hotel that blends architectural charm, the main building dates back 200 years, with modern comfort. Why not treat yourself and upgrade to one of our Executive rooms with all the added benefits. The Regency Hotel Dublin has a 5 Star State of the Art Leisure Centre with Swimming Pool, Gym and Spa which will help make your stay even more enjoyable. We also have a brand new conference centre which can hold up to 3000 delegates. Due to its great location between the Airport and the City the Regency Hotel is ideally located for Business and Pleasure. Dublin bus has numerous routes which stop right outside the Hotel going to and from the City and the Airport. The Hotel is ideally located for Croke Park (15 min walk), O’Connell St (10 min bus ride), DCU and The Helix (10 min walk). Best Western Pery’s Hotel is a stylish city centre hotel situated in the heart of Limerick’s bustling shopping district and vibrant nightlife so that everything you need is at our doorstep. Perys Hotel is located less than 5 minutes on foot from Limerick’s main bus & railway station and only 20 minutes-drive from Shannon Airport. The hotel also offers additional features such as complimentary parking facilities, free Wifi access throughout the hotel and complimentary use of the gym & sauna. So if you’re looking for a lively hotel full of warmth & character, let Pery’s Hotel be your first choice when visiting Limerick’s vibrant city, where you are guaranteed an enjoyable, friendly and memorable stay for all the right reasons.